In our renovated dining room, with air conditioning, you will be surprised thanks to the friendship of our staff, who is always ready to meet every need or requirement of our guests. Hotel Cristallo offers every morning a rich breakfast buffet with brunch from 8:00 till 12:00 with coffee , fresh fruit, juices, jams, pastries, sliced products, bread and fresh vegetables. We want to pamper our guests every day, always trying to offer a menu that will satisfy your tastes and needs. 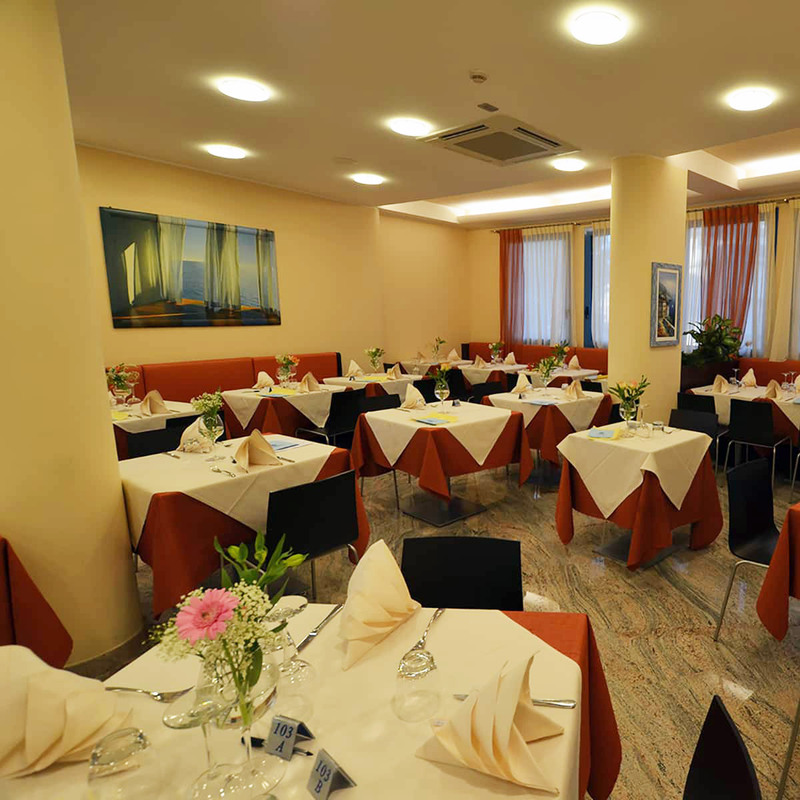 In our restaurant you can enjoy a delicious 3-courses dinner with national and international dishes, which are prepared with skill and ingredients of first quality. We offer specials dishes for our vegetarian guests and dishes for our children.